Fall Uniform? What does that mean? Fall is here and winter is approaching. 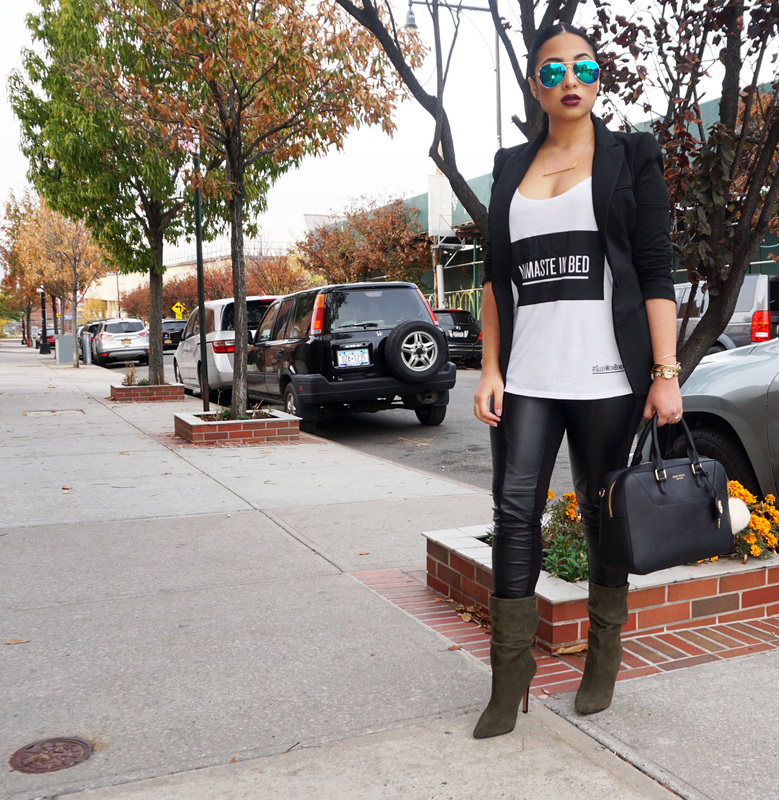 When picking out my looks I always tend to gravitate towards leather leggings, a graphic tee, a blazer and boots. It’s a simple and easy look to throw together. If you aren’t into heels opted for flat knee high boots. The main piece I want to share with you guys today is my current favorite handbag. When I laid my eyes on this beauty I couldn’t wait to have it in my arms (too much? I really did fall in love) this bag is from Henri Bendel. Not only do I love the classic style and color of this bag but also how much it can hold. The bag closed without a problem and kept its shape. It also comes with an adjustable and removable cross body strap. This leaves your hands free to text, shop and multitask while looking fabulous. Leggings: Thrifted | Love These! Next Post Latin Grammys: Get Zoe Saldana’s Look!